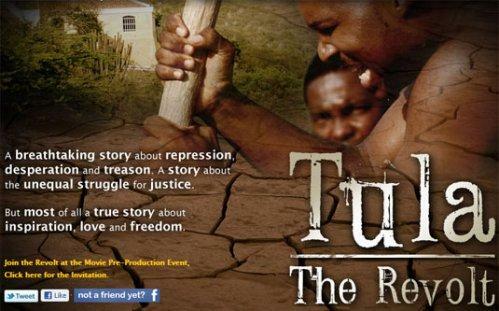 Repeating Islands wrote that without hitting the theaters yet, forthcoming Dutch Caribbean film "Tula The Revolt" is proving to be quite controversial [see New Film: Jeroen Leinders’ “Tula, the Revolt”]. [. . .] As United Nations declared 2011 the year of Afro descendants how in nomber di Dios (for heaven’s sake) can you green light a project of 2 Dutch European filmmakers who came up on this insensitive idea to do a movie about our recently declared freedom fighting national hero Tula? With the help from two Afro-Americans: a screenplay writer Curtis Hawkins and Warrington Hudlin a pioneering black filmmaker, activist and advocate for independent black film movement, who should’ve know better [than] to participate in the exploitation of Tula. On the website www.tulathemovie.nl they are talking about: “A story representing centuries of conflicted relations between black and white the effects of which still haunt us today.” And it does, as the two Dutch white privileged filmmakers cold heartedly or extreme naively kidnap the opportunity of Afro Curaçaoans or at least Curaçaoans to tell the tales of freedom fighting Tula. [. . .] Was the announcement of this project lucid? No, there has been no transparency whatsoever of the commission in approving the making of ‘Tula The Revolt’. No one knows the criteria, no national hero law has been made public if there is such a law, we the people sure didn’t have democratic participation in it and therefore no one can scrutinize to see if the right procedures are just and were used which resulted in an approval. A few lines from their summary: “As many slaves were transported and traded through Caribbean transit harbors like the one in Curaçao, this story belongs to them and their descendants it deserves to be told, for it is an important part of history, identity and in the end of our society today.” So they understand the story of Tula is ours, but morals and respect for our own emancipatory path that we as descendants have to walk fade away for a $25 million Hollywood adventure? [. . .] In 2005 I wrote a poem called: ‘F..k Tula’ because obviously just like now only a small group is genuinely interested in uplifting this heroic character. Every year on August 17, no media will even live transmit or dedicate afterwards a full spread to the commemoration in Holland or in Curaçao; it has no cultural priority at all. The first monument made was in 1963 the second one in 1998 at Rif far away from the public eye, unlike Louis Brion, a Venezuelan national hero who occupies our biggest square in the heart of Otrobanda; sad but true: it took us to overcome an identity crisis of 48 years to proclaim him as a national hero. [. . .] The re-enslavement of Tula, the greatest fighting spirit of our times, for commercial glory, international fame, is an act of neo-colonial villainy. A regime of critical thinkers and activists who sleep on this will have to deal with this when their ancestors lace them with the consequences. Everyone involved can still correct this injustice. Thank you for pointing out the relevance, or better yet, the essence of the movie Tula, The Revolt. Your article clearly shows that even today we are faced with a world in which being black or white makes all the difference. Integration is a word that apparently does not show up in your dictionary, whereas integration, and assimilation are in fact key characteristics of society in Curacao today. As you may be aware, on the island of Curacao, black people today may well be descendents of white plantation owners back in the day. On the other hand, white people today may well be descendants of black slaves working the fields. Now you tell me, is this important? Can a black man with white ancestors produce this movie? Or should he be white with black ancestors? Or maybe even better, a black man with black ancestors. For only he understands the true injustice that slavery brought upon these people. Wouldn’t it be better to agree that the key word here is people? Can we agree on the fact that injustice has been done to people? Can we both look back at the period of slavery and conclude that this is something that is despicable? Does it matter what color you are to come to this conclusion? You call the idea to make a movie about Tula insensitive. Why? Because you did not come up with it? You judge the fact that Van Eps Kunneman Van Doorne sponsors this project. Even if it were true that they earlier did not show any interest in uplifting the Afro Curacaoan heritage as you say, wouldn’t it be better to applaud them for doing it now? Even if you are right, can’t you see this as a step forward and welcome the gesture? In addition, you conveniently forget to mention the fact that we also have the support from Pacheco Domacasse. Indeed, the same man who directed the Tula play back in the seventies. He is kind enough to advise us on the script and we highly appreciate his involvement. You do not mention Mr Charles Do Rego, our historical advisor. You forget to mention the fact that we spoke to the Tula foundation and to the commission to rehabilitate Tula, yes the same people that are behind the website www.tulalives.org. You say we commercialize our ancestor's history and bypassing the descendants rights and think you are doing us a favor. Let me tell you this. When we started out two years ago, somebody asked me if I would be willing to donate all the proceeds of the film to charity on Curacao if he would be able to find financing for it. My answer was “Yes” then and it still is. The offer still stands. So you want a film school in Curacao? Our project offers training on the job for people interested in making film. And so maybe it would be better for us to join forces. Work with us, Mr Ostiana. Read the script, talk to Pacheco Domacasse about it. Welcome the opportunity to tell the story of Tula in a way that is accessible for anybody. Help us to realize this important film. Give the youth of our island a chance to learn about their history and to honor the people that played an important part in that history. Learn from Tula. For his values: freedom, equality and brotherhood still are important today as your article clearly shows. The re-enslavement of Tula? "A story representing centuries of conflicted relations between black and white the effects of which still haunt us today." Both of us have the power to say ‘no!’, to these effects. Everyone involved can correct this injustice. From a Dutch white privileged framework your reaction reconfirms that you are delegitimizing what the United Nations in 2011 has declared as the "International Year for people of African descent." The negation of the fact that slavery was perpetrated by whites and established a power structure in which whites would reap the most benefits and reinforce a system that disproportionately catered to their needs and not to those of all people is a giant failure. In the moral universe of post-colonial race relations the unlearning of white superiority think patterns is a must if you seek true unity. There is no justice trophy to be won while the Afro-Curacaoan still has to negotiate opportunities from a disadvantaged socio-cultural position in the 21st century. No conversations at parties,construction sites,hair salons, in the church, by the bus stop in Punda or beneath the viaduct in O'banda about "Tula the movie". The blessing of a few prominent black intellectuals is not vox populi. There has never been no public debate ever in our language Papiamentu about this. Nobody approached common folks their voices remained unheard. 80 likes on a facebook page is not representative for a broad public support. You need more peoples. Los su mente lage pensa. Los su lenga lage papia. bury all traces of shame, complexes and frustations. "The blessing of a few prominent black intellectuals is not vox populi"
The Blessing? Who are you? We as Curacaon don't care about discussing slavery because we moved on. The past doesn't define us. It doesnt haunt us.That doesn't make us dumb. I am not sure who you are speaking for by the way. Your statement is ridiculous. The movie will high-light what has happened in the past and serve as a educational platform for those who are not familar with "Tula's story" and provide a visual for those who know. Nos kompleho ta dera, nos ta un pueblo orguyuso. The author of this article and the person prior to me are both ignorant as to what WE as Curacaons feel. The movie get's my stamp of approval. It's time to start or atleast try to aknowledge Tula as the leader he was. We have an amazing culture but lack patriotism. This movie is important and I am happy it's being made. We are Curacaon not white Curacaons or black Curacaons. Who ever makes this I can assure you that we will be ok with its content. Don't try to plant this hateful seed between white and blacks in Curacap, we are above this. on the island. A low point for our Island. Mr. Warrington Hudlin is someone I respect and trust. Mr. Hudlin is someone with impeccable morals and values when it comes to Black Films, he is never a sellout, he knows where he stands and he will always fight for the black viewpoint and to empower people of color everywhere. His legacy is impeccable. I therefore must correct this post. In 2009, I was approached by Dolph van Stapele, to help them find a screenwriter for Tula. 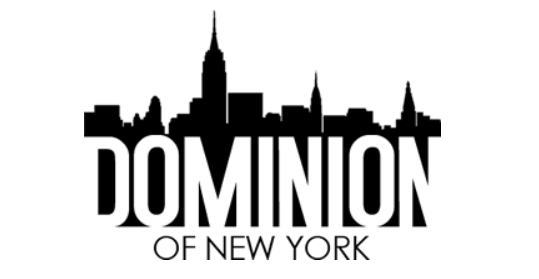 I am a film maker myself, yu di korsow and happen to live in New York. The filmmakers wanted to write a story in English. I grew up with the story of Tula a beloved hero of mine, and felt responsible to at least make sure that the script was as good and authentic as possible. I insisted on at least hiring a person of color and someone whose native language was English. I was only involved in the pre-production phase of this film. It was I who asked Warrington Hudlin to join me for a short moment to meet the film makers Dolph van Stapele and Jeroen Leinders in NYC. All I wanted is for him to hear them out. At the time there was no script, just good intentions and a plan. Warrington liked the story he heard that evening, and left within an hour to another meeting. He has not had any other involvement with the film "Tula the Revolt", all he had was a short meeting in an Ethiopian restaurant in NYC. He has not read the script, or has not in any way been involved in the making of Tula the Revolt. His name was used on the site for a while, unknown to him, and has long since been removed. I hope that in the future Afro Europe can do better research on the sources they quote,( I do understand that is hard) as with just a little googling, a few facts can be easily be straightened out. I am sure this is not the last film, poem, documentary or painting about Tula. He continues to inspire even today. Let's keep the dialogue open and let's make film, dance and art and respect each other and every person's contribution to society and the hard work they put in to a vision, whether we share it or not. We all breath the same air, and live on one planet. Wishing you luck with Afro Europe, a blog I enjoy. Thanks for the comment. I am glad you shared some background information about this issue. This posting was a repost of a story of Germain Ostiana, which he asked me to post on Afro-Europe. I don't know if Jermain Ostiana knows about your involvement, so I will mail him your response. And yes, very sad what happened to Helmin Wiels. take so much of these Dutch film Apartheid aggressions. Ownership of Liberation Narrative. That would broaden your understanding and elevate the dialogue to the next level. The Jews never let any forget their plight from Abraham and their twelve tribes throughout the years of cinema to the present. Christians flock the theatres for every holocaust film. People of colour should never sidestep nor complain on any gesture to bring to light their holocaust. I'm so proud a Jamaican and our cultural ministry for their endeavours towards the consciousness of Jamaica's folklore with emphasis on enslavement. I say amen to Tula.